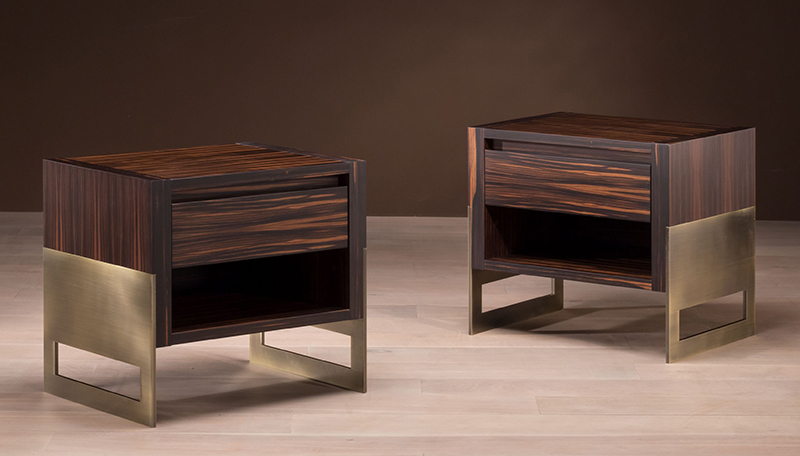 Nightstand in ebony macassar wood or oak wood. Base and handles in ancient bronze. Available in 2 different sizes. Champagne, grey, moka stained oak or ebony wood. Metal in ancient bronze.